Only ONE Registered Keeper from New, Just Serviced, 7 Stamp FULL Service History, Fully PDI Checked, LOW Road Tax Band, Next MOT Not Due Till April 2020 & Done 90,000 Miles. An Absolute Stunning Car with Whopping FULL Service History & A Whopping Spec list To Go With It. Built in SAT NAV, Bluetooth Stereo with Audio Streaming, BOSE Speakers, Heated Seats, Auto Headlights, Auto Window Wipers, Cruise Control, Climate Control, 6 Speed Gearbox, KEYLESS Entry & Ignition, 18 inch Alloys, Folding Electric Wing Mirrors with Built in Indicators, Privacy Glass, 4 Way Electric Windows & Multi Functional Steering Wheel Controls. We've SOLD Over 7,000 Cars from Our Anfield Site. All Cars Have A PDI Check, HPI Check & Full Price Check. Our Experts Offer LOW Rate Finance Packages, Part Exchange & All Cars Are Ready To Drive Away. Where All Our Prices Are SO LOW! Call Us Now On 01512601420. 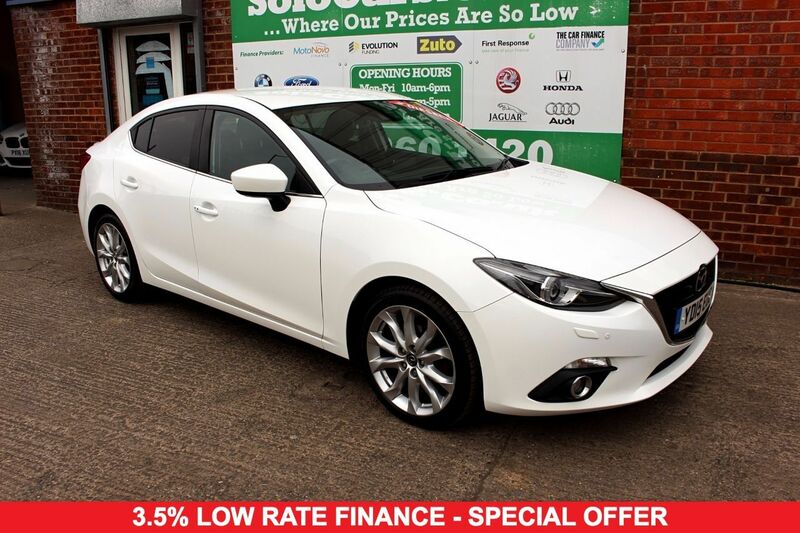 We Get Other Models Such As SKYACTIV-D, SYACTIV-G, Sport, Nav, TD, TS, SE-L, Full Leather Seats, Satellite Navigation, Sat Nav, Bluetooth and Many Other Varieties.